The power of social media is truly amazing! It still continues to amaze me that you can make connections with people you've never even met through your interests, likes, passions, locations, "hashtags", etc. that you designate when you create a social account. SpunkyDiva Diaries loves supporting women-owned small businesses! We're committed to telling the stories and journeys of women who for one reason or another start their own business. Our "BO$$Diva Interviews" focuses on highlighting a real, everyday woman making her dreams come true by being an entrepreneur. It's so vital for us to not only support other small businesses, but more importantly to support other BO$$DIVAS! I believe I met Shayna on Instagram. We share a common bond - we are both proud members of the same sorority - Alpha Kappa Alpha Sorority, Incorporated. That sisterhood may have been the catalyst for our budding friendship, but I have come to respect and highly admire Ms. Shayna. My Soror has faced great adversity and challenges in her life and come out the other side with grace and a smile! We've become avid supporters of one another's business endeavors and life in general. A Little Bit About Her: Shayna is a single mother of 3 teenagers... her oldest is a boy and she has two girls. Her Life's Passions: First and foremost Shayna is passionate about her children's success. Secondly, she has sickle cell type SC and is an advocate for educating & raising awareness about all aspects of the disease. 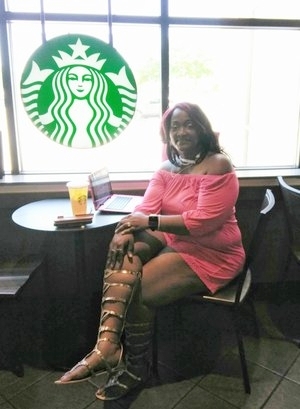 Shayna is also passionate about her business and being able to assist minority businesses with accounting, marketing, internet marketing, and small business grant writing. When She Started Her Business: Shayna started her first business at the age of 18. When she graduated Bacone College in Muskogee Oklahoma, she started practicing accounting at Jackson Hewitt. She moved to Dallas, Texas permanently in 2006 and she began "Butterfly Financial Services." Shayna continued going to school for her masters in Internet Marketing with a minor in Grant Writing. She graduated Full Sail University in the fall of 2016 with a masters degree. She later revamped her business in January 2016 to include marketing services and hence renamed the business in 2017 to "Butterfly Financial & Marketing Services." Brief Description of Business: Shayna's mission is to assist minority businesses by providing accounting classes for small businesses, as well as marketing, internet marketing, and grant writing. By keeping all of these services under one umbrella, it saves money and time. Why Go Into Business: When she was doing taxes back home, Shayna realized a lot of minority businesses were trying to open up, but could not stay in business. She also noticed that they came into Jackson Hewitt knowing very little to nothing about accounting, business accounting, and the fact that they were losing out on a lot of money. Shayna decided that she wanted to be the one to assist all minorities (as well as others) with their businesses to help them achieve success. Is It Her Only Business: Yes, and she is the sole proprietor and CEO of the business. What Did She Do Before Going Into Business: Attending high school. What Obstacles Did She Face: Taking care of three toddlers, a husband, and working a full-time job. How Did She Overcome Them: Shayna focused on continuing to raise her children, took a detour in relationships, and graduated college. How Do Customers Find You: Customers mostly find Shayna's business through social media (Instagram, Facebook). Did She Always See Herself Doing This: No, not at first! After a while, things just kind of fell into place. Advice To Women Thinking Of Starting A Business: Stop thinking and start doing your research to see it through. I know it might sound easier said than done. But if you believe in the business and how it will benefit others, go for it! Advice For Women Hesitant To Follow Their Dreams/Passions: Have a positive support group/network. Let's be honest...as women sometimes we want to give up. That's when a great support group/network comes in handy. As long as you have good people who have your back, you will be so much stronger and able to push right on through! Favorite Book That's Helped Her BO$$DIVA Journey: Shayna said she read so many books, but for her it was actually going out into the community and seeing what was going on with our minority businesses and how they were failing that's helped her the most in business. Favorite Mentor/Quote or Mantra: Don’t set limits for yourself they are like imaginary brick walls. You’ll never be able to move forward and succeed. Social Media Platforms Used: Instagram, Facebook, and Snapchat, but most of her marketing is done on Instagram. I truly hope the story of my Soror Shayna's BO$$DIVA journey inspires you like it has me! And, it's not because we're both from the best sorority on the planet either! Her advice about not setting limits on yourself is so on point for me right now. And AMEN on her advice on the importance of having a GREAT support network. I haven't even officially launched my business (more to come soon!) and I already know I would NOT be where I am today without my amazing support network of "ride or die" friends and colleagues. How many of us women have our whole lives changed because of a divorce...and in many cases (mine for example) leaving an abusive, toxic relationship? Like so many of us, Shayna had to "reinvent herself" and seize the opportunity to follow her passions and earn a living doing it. OUR "BO$$DIVA INTERVIEWS" FOCUS ON HIGHLIGHTING A REAL, EVERYDAY WOMAN MAKING HER DREAMS COME TRUE BY BEING AN ENTREPRENEUR. SpunkyDiva Diaries loves supporting women small business owners! We're committed to telling the stories and journeys of women who for one reason or another start their own business. 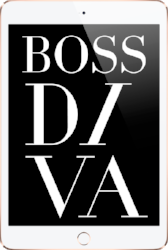 It's so vital for us to not only support other small businesses, but more importantly to support other BO$$DIVAS! IF YOU'D LIKE TO BE INTERVIEWED, CONTACT US...WE'D LOVE TO HEAR FROM YOU!